Location: To the west of the track on some crushings, just south of Bycliffe Bottom Level. A 1 m stone lying on its back in some crushings. 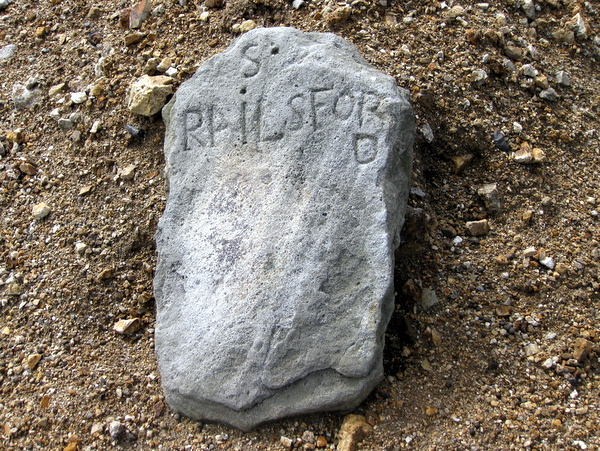 The edge of the stone looks as if it has fallen away, so it is likely that it used to read "S.BRAILSFORD". 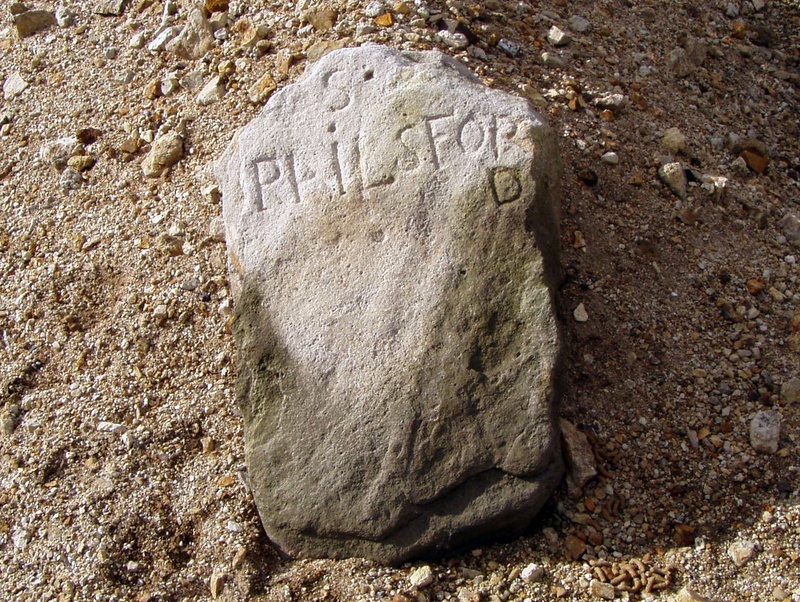 The stone is not fast, but it probably originally marked the south-west corner of the northern most 10 meer lease taken by Brailsford & Co. in 1774, which appears on the 1781 Brailsford survey.